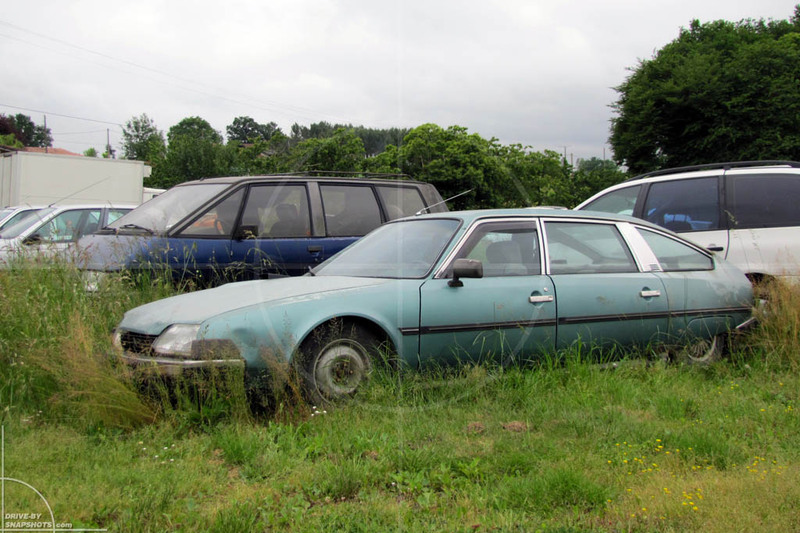 I especially liked this Citroën CX high-top conversion, reminding me of the ambulances I used to see as a kid while traveling through France with my parents. 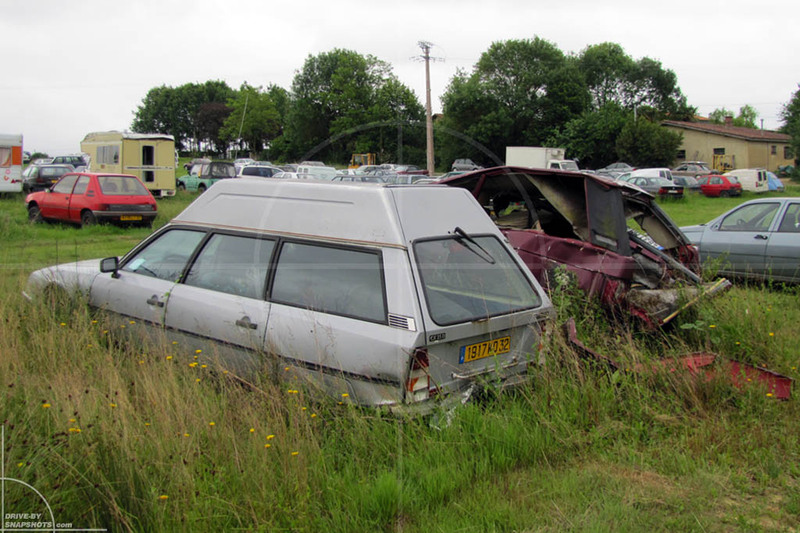 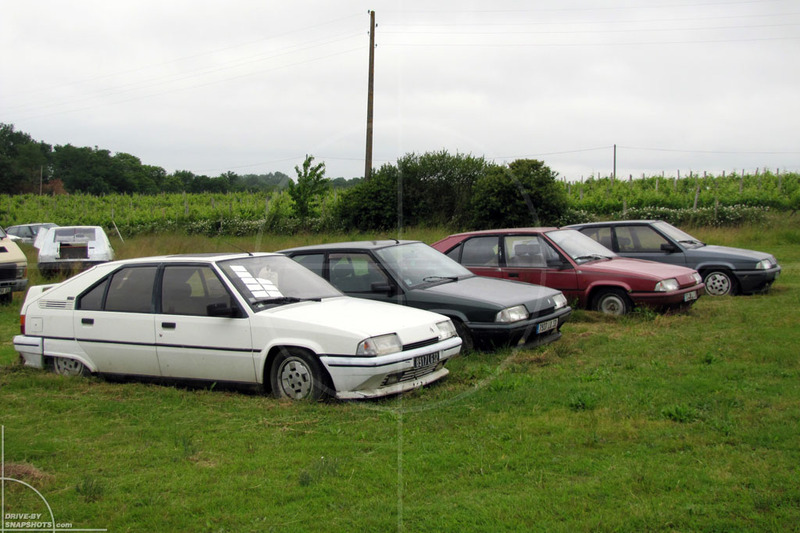 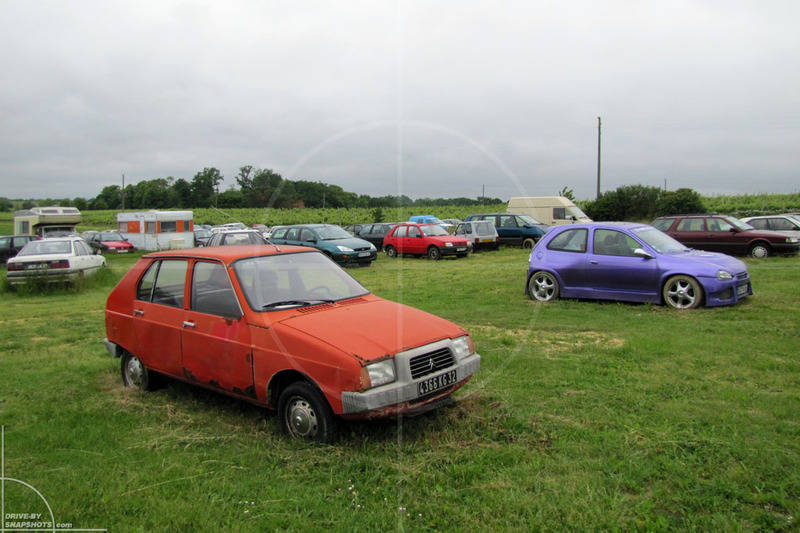 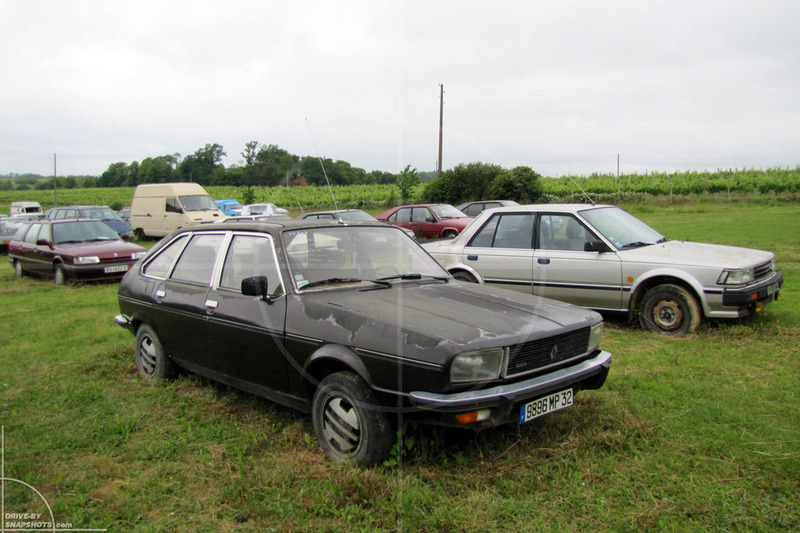 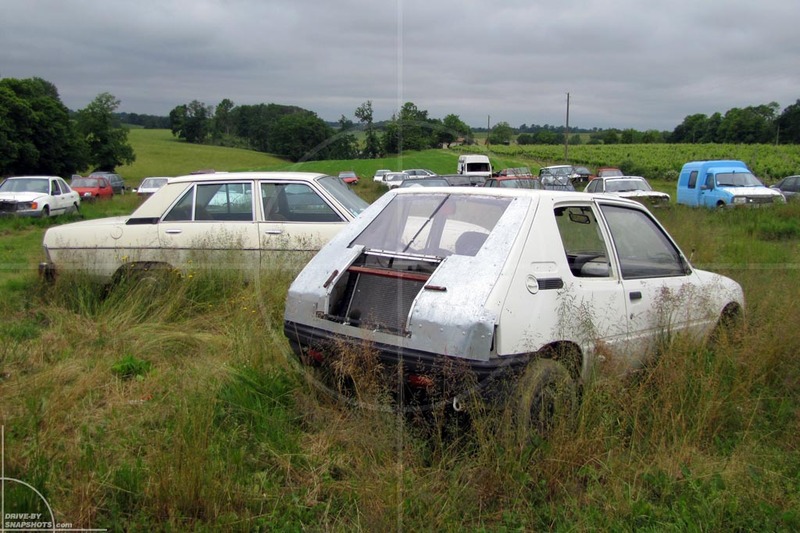 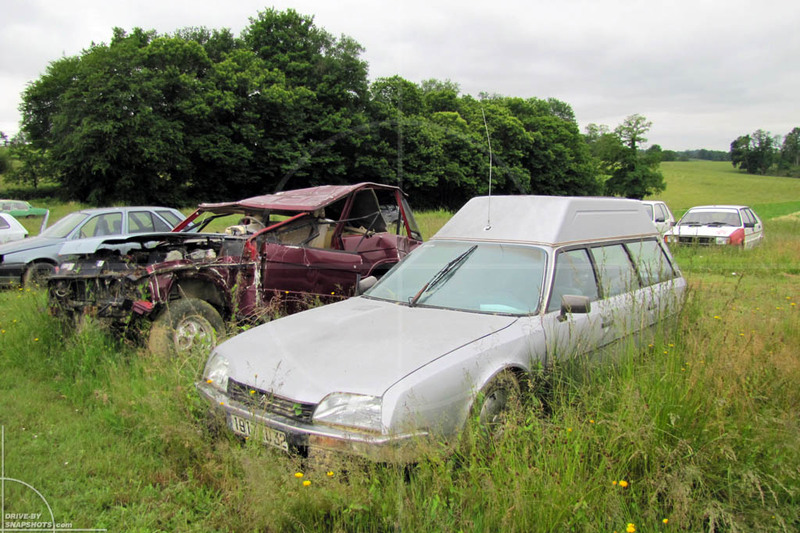 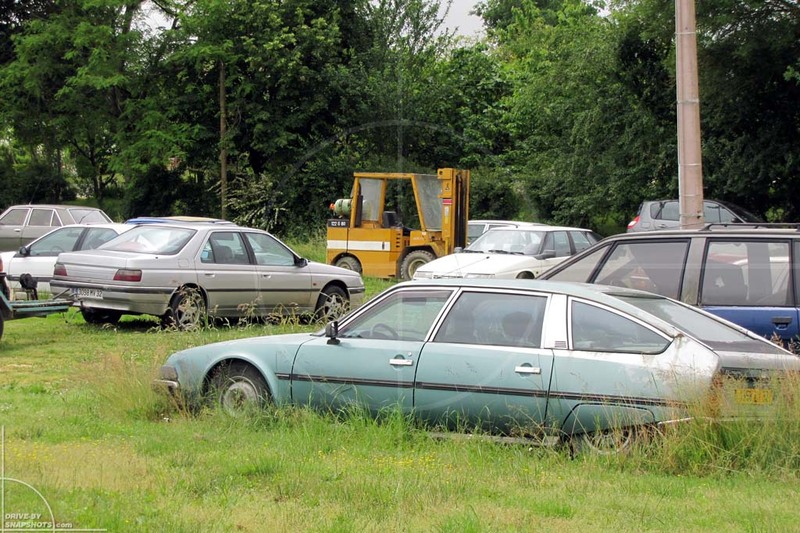 The Peugeot 205 pictured here has apparently been converted for stock-car duty, with a rear-mounted radiator. 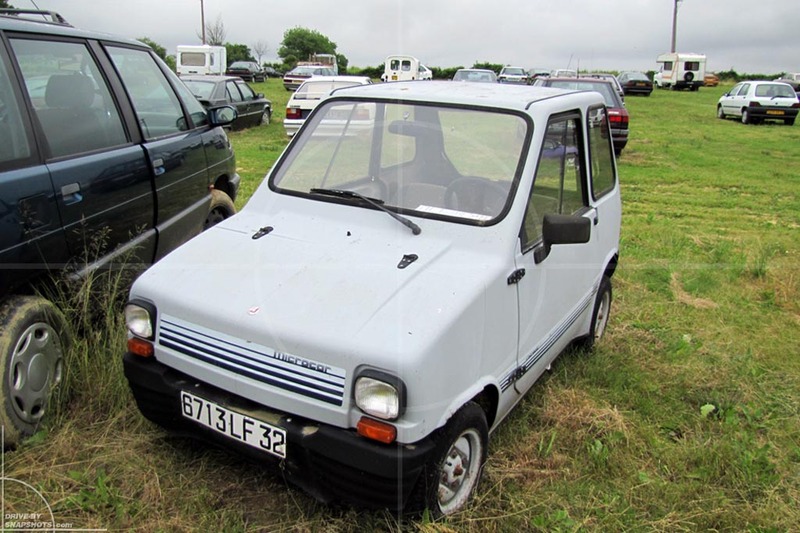 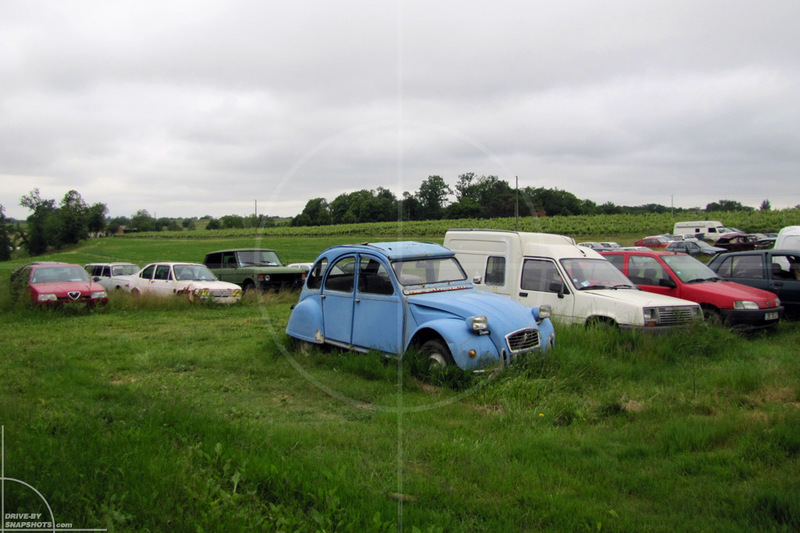 Quite a common sight on rural French roads: microcars. 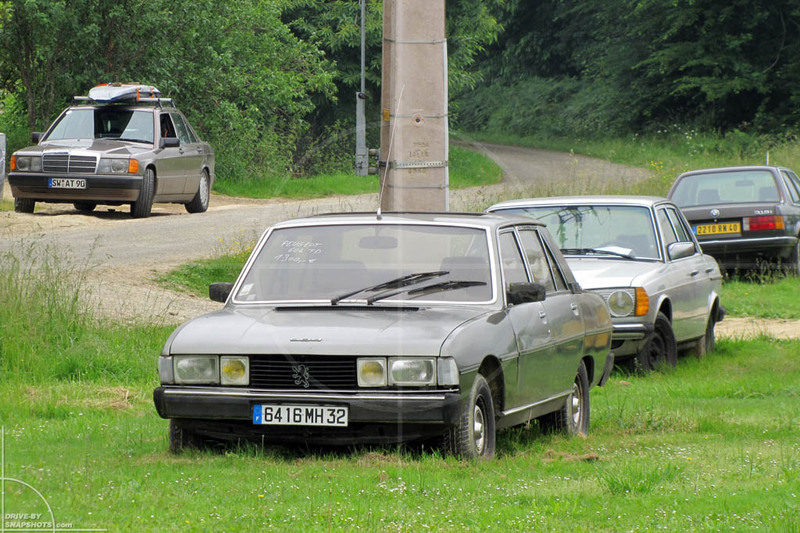 When spotting one of them on the Route Nationale as little kids, my sister and me used to call them “Huschtegutsele”, which (very roughly) translates to cough bonbon or candy. 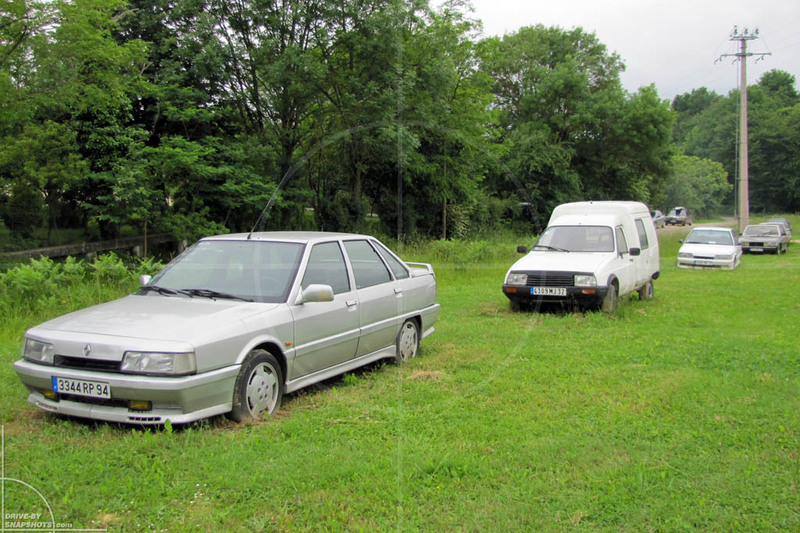 Note how the wheels are similar in design to the Renault 30 Turbo alloys further down in this post. 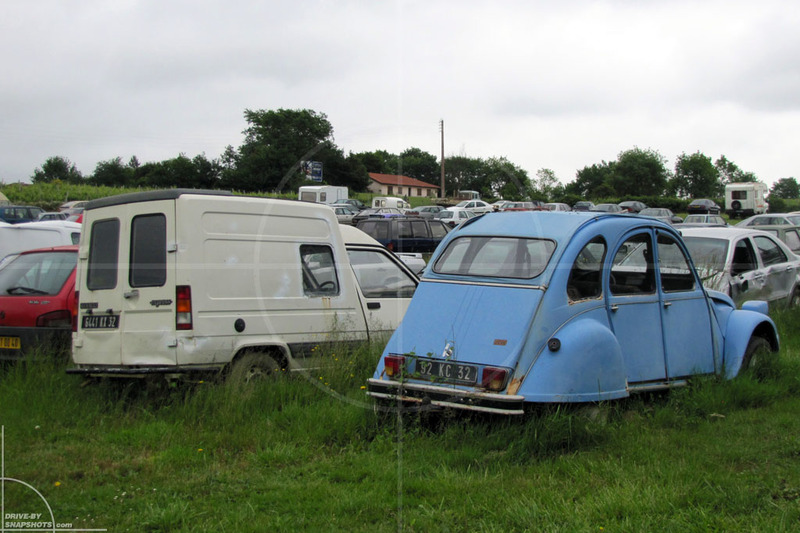 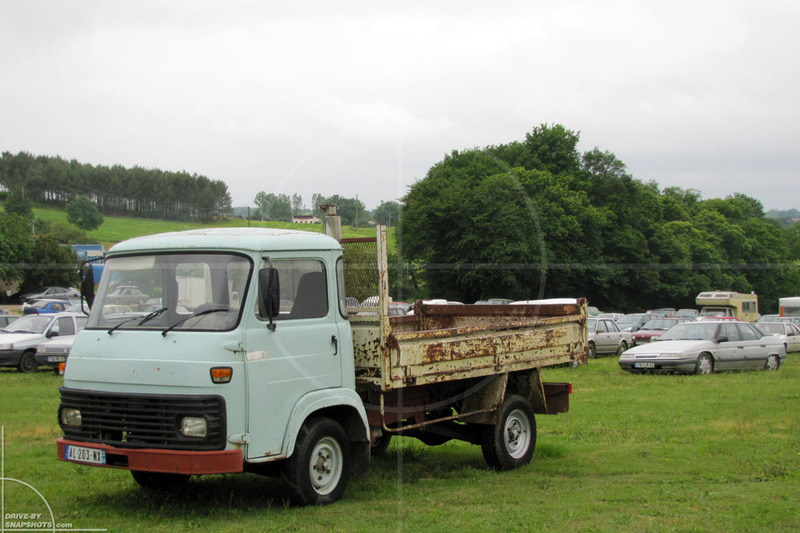 The Citroën Visa Mk1 pictured here still used the 2CV drivetrain. 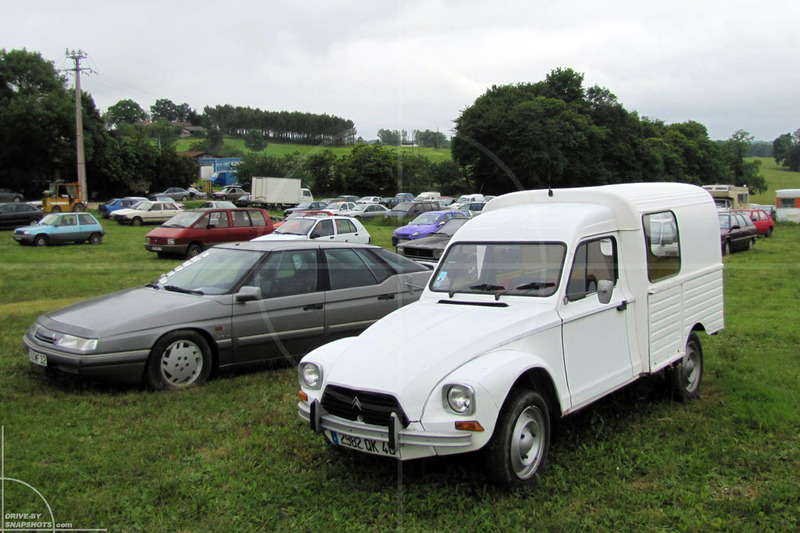 Fortunately it was later replaced by an inline four cylinder engine! 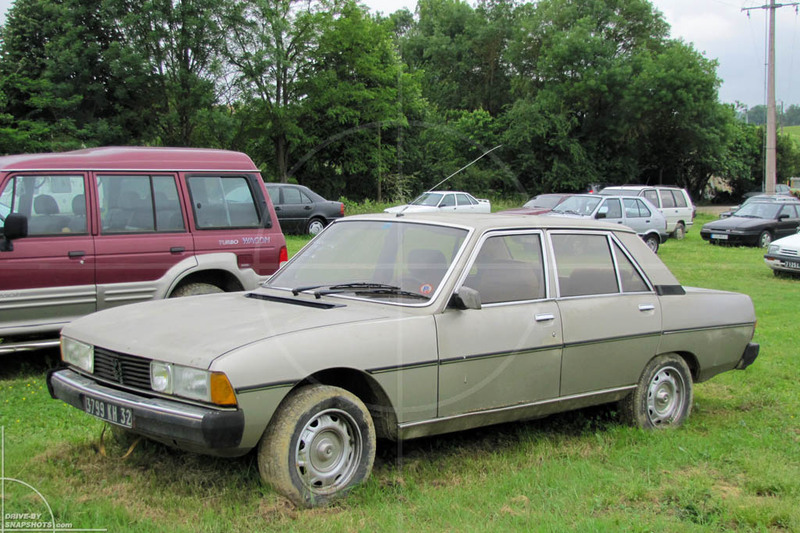 Did you ever notice that the Mercedes-Benz W116 and the Peugeot 604 have a very similar windshield wiper setup?